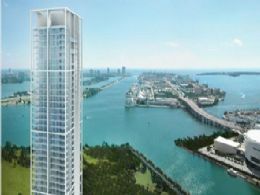 Downtown Miami is home to a magnificent set of established and currently in development condominiums that range from respected industry standard names like the Four Seasons to ultra posh in-the-works edifices like the infamous and hugely anticipated ICON on Brickell Avenue. Thus, the 48 stories of the Jade Residences building, designed by distinguished architect Bernard Zyscovich, stand as yet another exceptional testament to the area’s flawless architecture and impeccable living options. After all, how many buildings can boast about having a stunning recreational deck that extends over 32,000 square feet in length? At ground level, a multitude of retail establishments are available, convenient for residents who’d prefer not to venture too far off from their luxurious Jade living quarters. After taking a moment to marvel at the lobby and its 21 foot soaring ceiling, discover the wonderful pool deck, security controlled high speed elevators, individual and private storage facilities, fitness center, and sauna, steam and massage rooms. 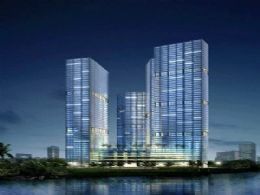 Concierge, valet, high end cutting edge security, business center, European spa and a beautiful waterfall make the Jade an all-in-one residential paradise in a highly exclusive area. In keeping with the Jade building’s attention to high end residence technology, units feature a touch panel allowing easy access to the building’s amenities as well as e-mail and wireless Internet and magnificent views of the city and the bay. Kitchens feature Italian cabinetry, stainless steel appliances, wine coolers and even complimentary cappuccino makers. Bathrooms come with marble flooring and deluxe vanity tops. Brickell Avenue is home to a multitude of top companies and some of the most marvelously unbelievable architecture that is matched perhaps only by that of Miami Beach. Jade residents have a profusion of things to do and see like visiting Bayside and Bayfront Park right next door or visiting the Miami Art Museum. The American Airlines Arena is home to Miami’s own basketball champions the Miami Heat and also hosts large scale musical events. Take a short drive and discover what’s available at neighboring cities like Coral Gables and Miami Beach.